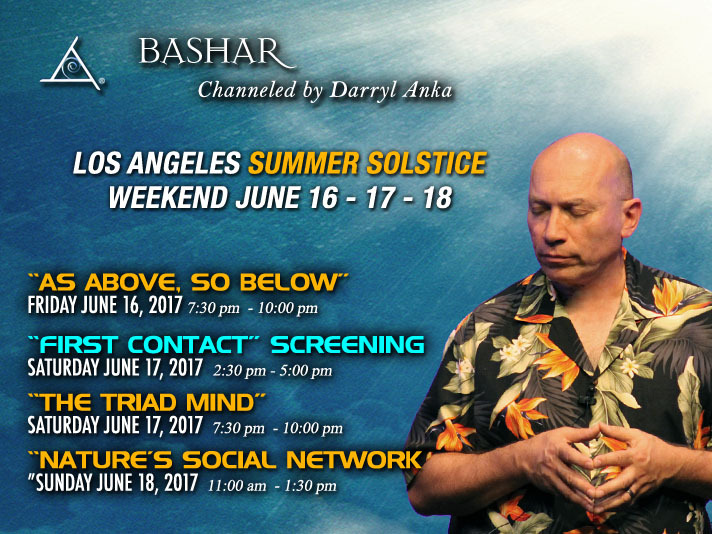 Bashar returns to Los Angeles for another 3-day intensive event! Attend “First Contact” Documentary Screening! *Early-bird discount expired 6/11/17. Regular price is $85. All ticket sales are final. ** FILM DOWNLOAD UPON RELEASE THIS SUMMER FROM ITUNES.